It's pretty safe to say that The Lion Guard is pretty popular in our house, T absolutely loves it and we've enjoyed introducing him to the Disney© show that started it all The Lion King. 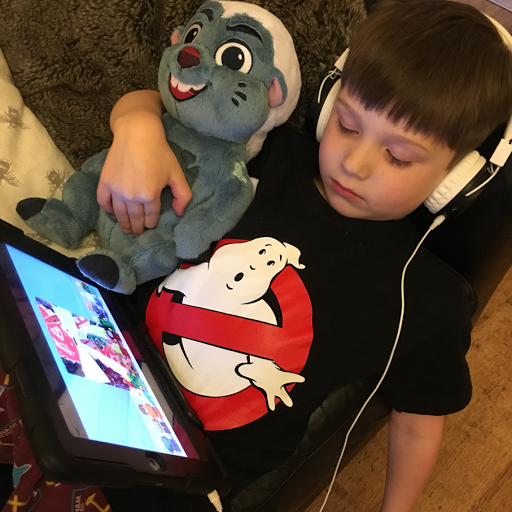 T was super-excited when he opened his parcel containing Bunga, I tried to get a video but he was just too excited and quick! 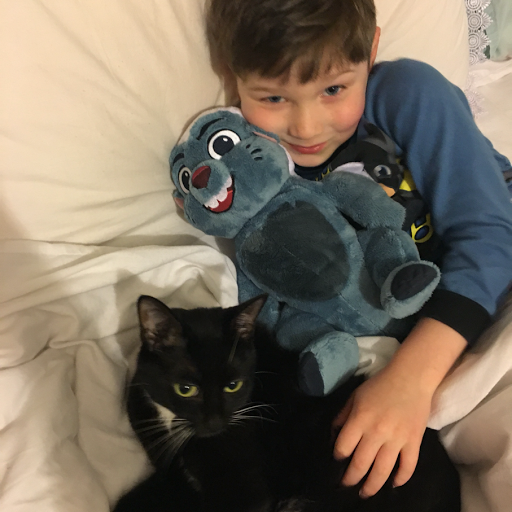 Bunga has now become T's favourite toy and he literally goes everywhere with him, I think it's mostly to do with the rude noises that Bunga makes more than anything but, he's gone down incredibly well here! Aimed at children 3-6 there are 2 characters in the range, Kion the Lion and Bunga the cheeky (and rude) honey badger. The toy is 30cm tall and has an on/off switch should you wish to mute them 😉. 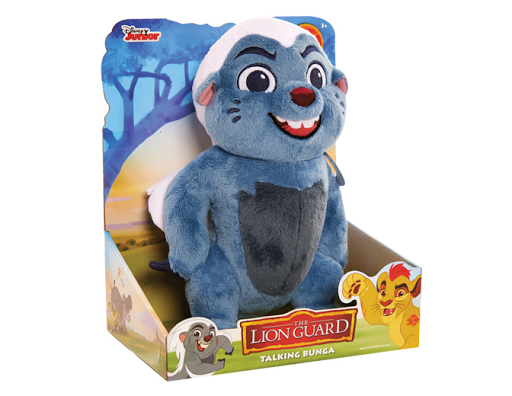 Each toy has a light up arm badge and says 4 unique phrases, they are high quality and easily recognisable as characters from the popular Lion Guard series. Each plush toy is £24.99 and are available from Flair. Here's a little video so T can tell you what he like most about Bunga and you can hear him talk and ermmm fart! Disclaimer: we were sent this toy in exchange for our honest review.